Home > Blog > Your Holiday will help Free a Girl! The first time I was introduced to Free a Girl I was watching Ivo Niehe’s Dutch “TROS TV-Show”. He did a graphic interview about India with Dutch actress Yolanthe Sneijder Cabau (Who might also be known as the wife of football international, Wesley Sneijder) Ivo Niehe’s camera crew followed a normally very glamorous Yolanthe into the less glamorous slums of India. She was more beautiful than ever, showing us her cause, and taking the viewer inside the gruesome back ally houses where very young girls are forced to work as prostitutes. It was in that moment – from the safe comfort of my own home – I decided to personally donate to Free a Girl. This was back in 2010. Fast forward to 2014, I now not only have my own perfect studio in Amsterdam, I even have the luxury of presenting others with this option for a holiday of vacation. You can find iBrokers Travels all over the world, where we offer you exclusive villas and chalets with hotel services. So when iBrokers Travels Founder came to me with the idea to give back to society, and asked my opinion on Free a Girl, I could not have agreed more. Because wouldn’t you feel better enjoying the iBrokers Luxury standard, while at the same time helping Free a Girl? You made somebody’s life better! Simply by sitting by the pool of one of our villas and gazing out over the sea. 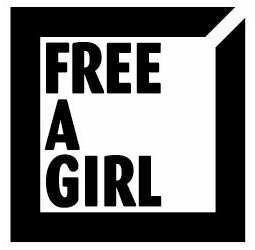 Free a Girl is a small Dutch charity with large worldwide results. They are committed to rescuing young girls from prostitution and ensuring offenders receive the proper punishment for their actions. And since 2010 they have contributed to the liberation of more than 2,600 girls. Free a Girl believes that every child and young person has the right to grow up in a safe environment. Children and young people must be protected at all times from violence, exploitation, abuse and discrimination. Free a Girl works together with law enforcement to take on traffickers, pimps and brothel owners, to ensure they receive the sentences they deserve. To ensure your holiday has this extra dimension whereby we all work together to help others, we have decided to become a business partner of Free a Girl. We will donate 1% of our own commission to this small yet large charity. Let your holiday Free a Girl and book now with www.sainttropezvillas.com.